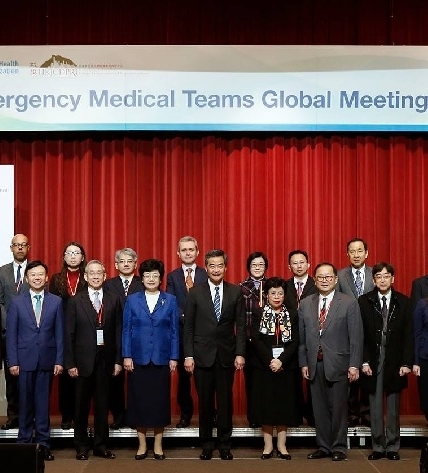 A newly developed Master of Public Health module on disaster response is to be delivered under the Master of Public Health programmes at the Chinese University of Hong Kong (CUHK). Designed for professionals and disaster and humanitarian workers with emphasis on practical applications and state-of-the-art knowledge, the module, which consists of two courses, is offered as part of postgraduate study programmes and alsoavailable as an individual short course. 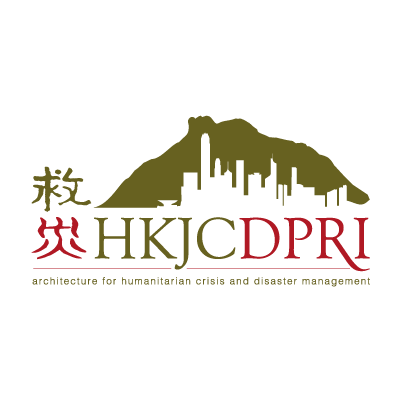 The module is a joint achievement of the Collaboration Centre for Oxford University and the CUHK for Disaster and medical Humanitarian Response (CCOUC) of the Faculty of Medicine of the CUHK, the Harvard University, and the Hong Kong Jockey Club Disaster Preparedness and Response Institute (HKJCDPRI). 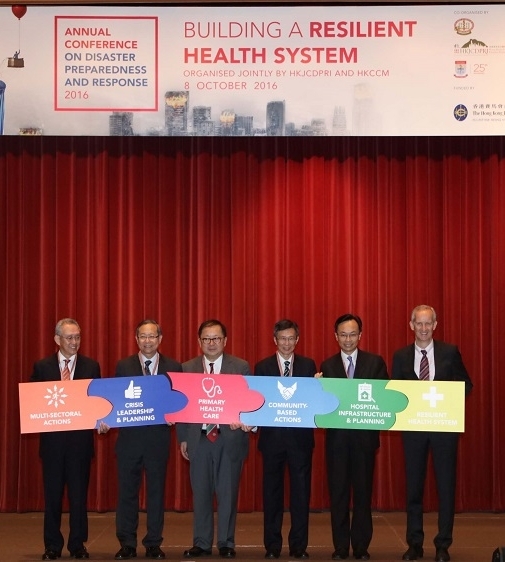 A newly developed Master of Public Health module on disaster response is to be delivered under the Master of Public Health programmes at the Chinese University of Hong Kong (CUHK). Designed for professionals and disaster and humanitarian workers with emphasis on practical applications and state-of-the-art knowledge, the module, which consists of two courses, is offered as part of postgraduate study programmes and alsoavailable as an individual short course. 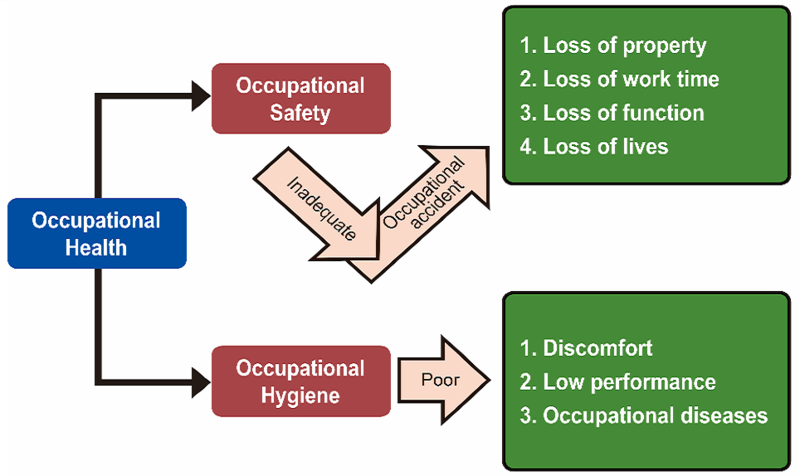 The module is a joint achievement of the Collaboration Centre for Oxford University and the CUHK for Disaster and medical Humanitarian Response (CCOUC) of the Faculty of Medicine of the CUHK, the Harvard University, and the Hong Kong Jockey Club Disaster Preparedness and Response Institute (HKJCDPRI). In a crisis, every word counts. 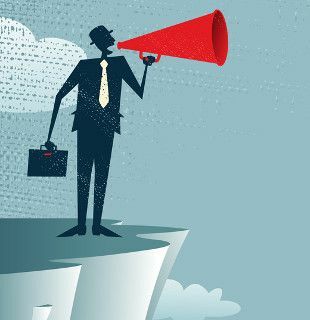 The need to communicate risks as accurate as possible in a timely manner arises as much from public expectation as professional need. 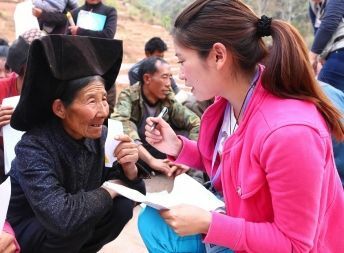 Communication not only helps build resilience of the community but also prevent disease, disability and death, and restore dignity of the people facing disasters. This course offers theoretical yet practical framework of effective advocacy and emergency risk communication in an evolving media landscape, and covers cases ranging from outbreaks to natural disasters in humanitarian settings. Conceptualize and apply the knowledge to develop an effective communication strategy in disaster and humanitarian crisis. This course aims at providing an overview of interconnections between health and human security in the context of globalization and forced migration of many causes. Specifically, the course will examine how the changing humanitarian and human security landscape, for instance the current context of conflict, brought the two fields closer and the challenges presented for human security and global health. On top of classroom lectures and tutorials, this course provides series of seminars offer by speakers in the field of disaster and humanitarian crisis to allow students to follow current topics in this area. Reflection on the importance of addressing humanitarian issues in the contemporary world. Application deadline of the above courses is TWO weeks before the programme commences. For further information about the courses, please visit: http://www.sphpc.cuhk.edu.hk/. Should you have any further enquiries on the courses, please kindly contact Ms. Carman Mark (carman.mark@cuhk.edu.hk). With the support of Hong Kong Jockey Club Disaster Preparedness and Response Institute, the Emergency Medicine Unit of The University of Hong Kong developed a course on "Ultrasound-assisted Clinical Skills for Disasters". This course was geared towards the goal of updating participants with the latest ultrasound knowledge in a field setting, and a repertoire of skills regarding the contemporary practice of point-of-care ultrasound (POCUS) on trauma casualties in disaster management. The first cohort of students of the “Ultrasound-assisted Clinical Skills for Disasters”course graduated on 24 July 2016. This cohort included 22 medical students and 10 practicing emergency physicians. 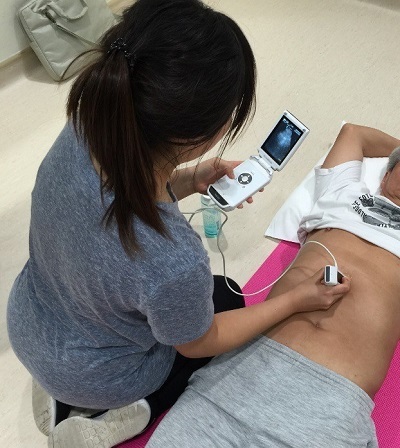 With the support of Hong Kong Jockey Club Disaster Preparedness and Response Institute, the Emergency Medicine Unit of The University of Hong Kong developed a course on "Ultrasound-assisted Clinical Skills for Disasters". This course was geared towards the goal of updating participants with the latest ultrasound knowledge in a field setting, and a repertoire of skills regarding the contemporary practice of point-of-care ultrasound (POCUS) on trauma casualties in disaster management. The first cohort of students of the “Ultrasound-assisted Clinical Skills for Disasters”course graduated on 24 July 2016. This cohort included 22 medical students and 10 practicing emergency physicians. For more detailed information about the course, please contact HKJCDPRI secretariat at hkjcdpri@hkam.org.hk, or the Course Coordinator Mr. Jeffrey Y.C. Yip at yipjeff@hku.hk.